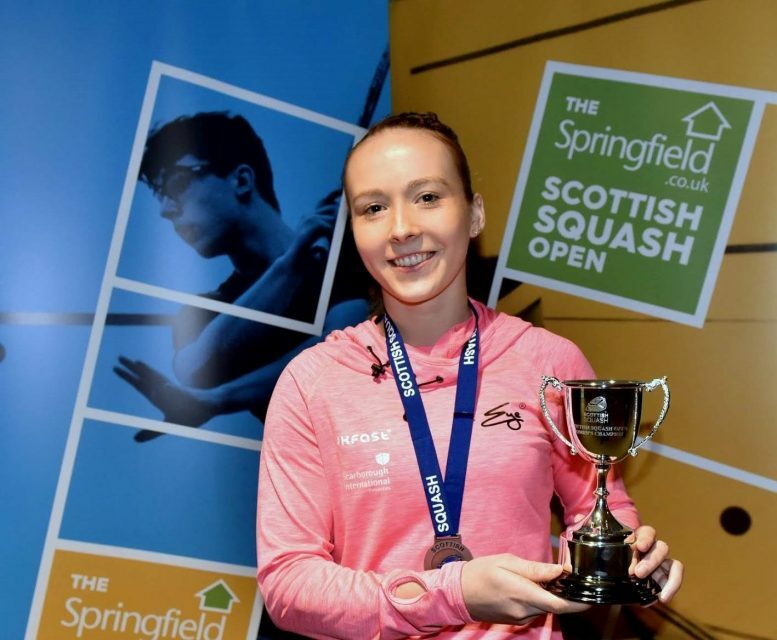 Edmon Lopez and Lucy Turmel were crowned the champions at the Springfield Scottish Squash Open at Oriam – Scotland’s Sports Performance Centre at Heriot-Watt University. 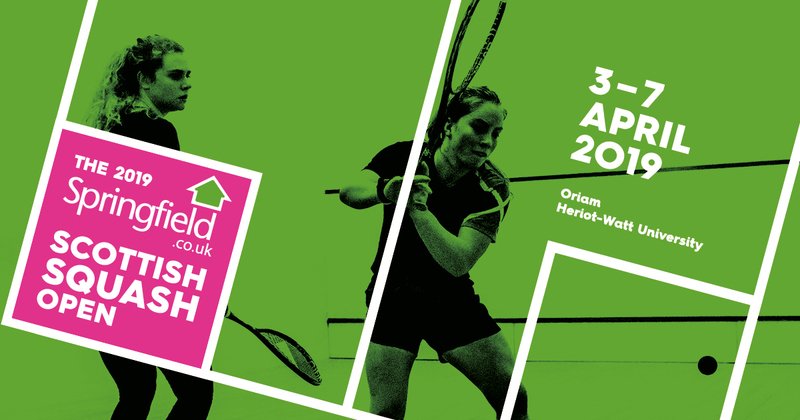 The Professional Squash Association (PSA) Challenger 10 event with a $20,000 prize fund which was equally split between male and female players was a great success with all competitors over the five day event were very impressed by the facilities. 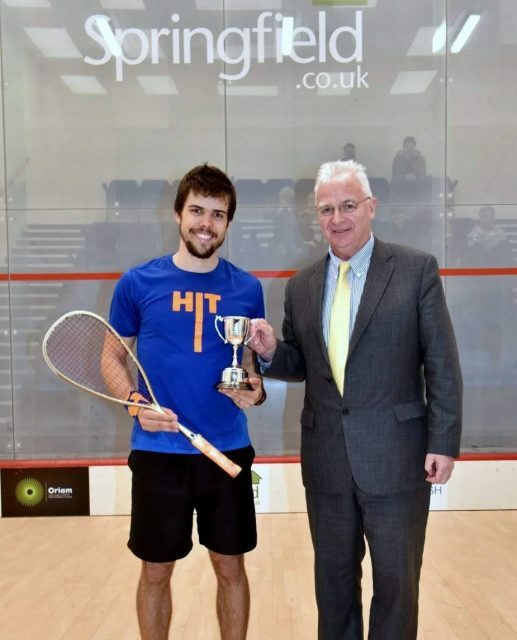 On Sunday, Spain’s Lopez, the 22-year-old second seed, was up against England’s Patrick Rooney in the men’s final. And he showed great composure to seal the match 13-11, 11-9, 8-11, 13-11 after the threat of a comeback from Rooney in the third game. “I came into the tournament with some good preparation, but with some pressure too because I was one of the top seeds and I came here to win,” he stated. Turmel, the 19-year-old number one seed from England, came out on top in the women’s final against Melissa Alves from France. She was 10-8 down in the first game, but settled herself and won 12-10, 13-11, 11-7. “I had to fight hard for every point, once Melissa gets into a rhythm it’s so difficult to play her,” the victor said.